Off-grid PV systems aren’t connected to the local utility’s electricity network. They’re more common in remote locations where it’s expensive to hook up to the utility grid. Grid-connected systems are more common in cities and suburbs. Grid-connected systems feed excess electricity you produce into the grid and draw electricity from the utility when the sun isn’t shining or when you need more energy than you’re creating. 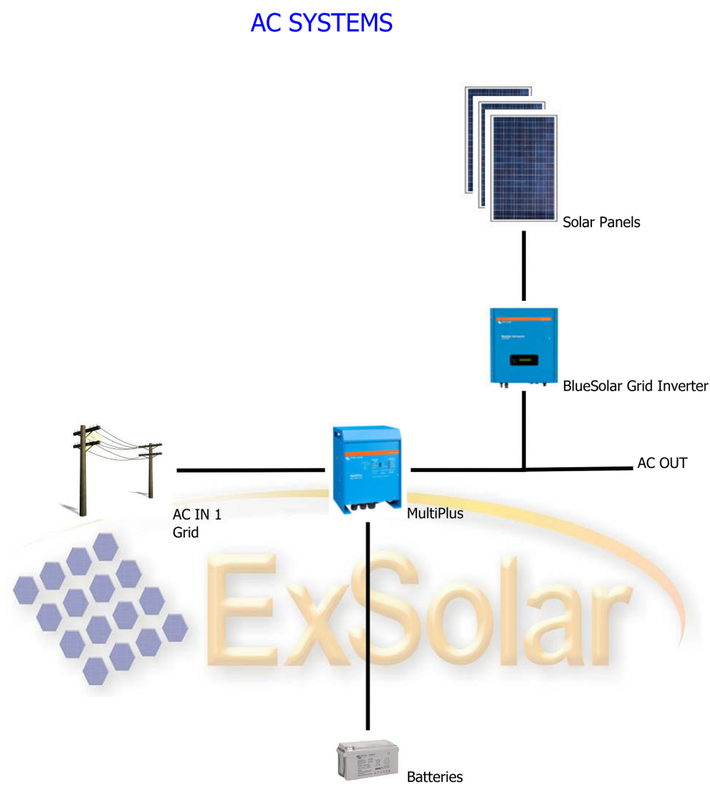 In this back-up system, AC from the grid can supplement the energy supply coming from the solar panels. And vice versa, the energy from the solar panels can cover any grid failure that may occur. This is a DC system with a 230 Volt output for AC consumers. 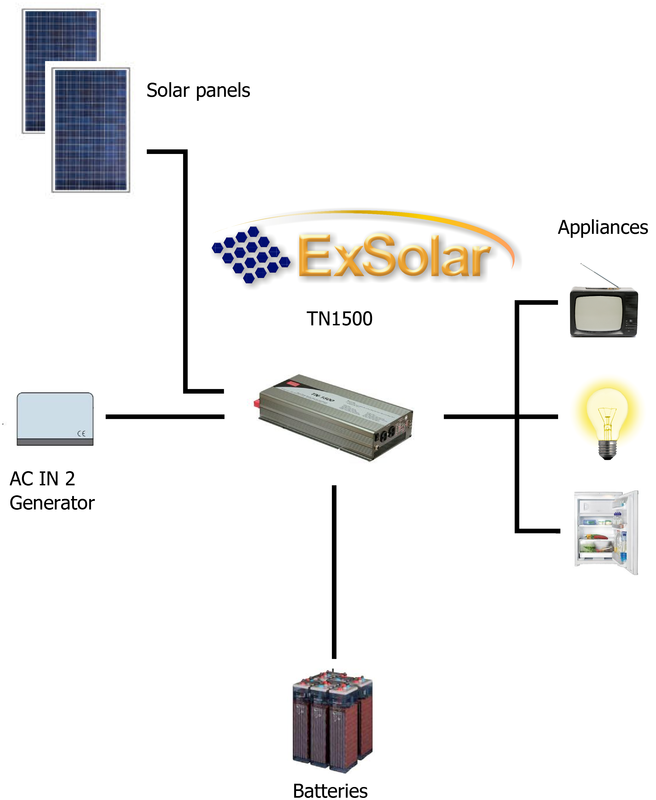 In above example a TN1500 inverter is added to provide the AC output. If the sun isn’t providing you with enough energy, a generator is added to the system. The generator is connected directly to the inverter.